View Cart “Yasir Suleiman, Arabic, Self and Identity: A Study in Conflict and Displacement. New York: Oxford University Press, 2011. 271 pp.” has been added to your cart. The poetry of Erez Biton, as it found expression in his first book Minha Marokait (1967), was a landmark in Hebrew literature. The starting point for the author—the founding father of Mizrahi poetry in Israel—is his immigration to Israel from North Africa. The article follows the literary structure of the trauma of immigration in Biton’s poetry. Biton contests the attempts at entrapment and domestication that are part of the trauma of immigration and develops a critical stance toward the Ashkenazi hegemony. In this way he develops a poetic voice that opposes the Israeli sovereign, who relates to Biton as an Arab-Jew excluded from the sovereign’s narrative. For Biton’s testimony about his trauma to be accepted, he needed to crack the walls erected by the ruling universal subject of Israeli sovereignty to maintain stability of identity in the face of Biton’s trauma as a Mizrahi immigrant. These walls, which removed the “Arabness” of the Mizrahi immigrant, did not assign a place for him and thus did not allow the testimony about his trauma to be heard. The method Biton proposes to the Mizrahi for simultaneously retaining and not retaining the hyphen in “Arab-Jewish” is to carry on a pretense and use defiant language. Biton is of the opinion that the failure of the Mizrahi to penetrate the walls of Israeli sovereignty’s poetry is predictable and brought on by the attempt to form a cohesive identity. However, he suggests turning this failure into an advantage by using pretense. This slide toward the “other,” this redundancy at the core of the process of mimicking the Ashkenazi, creates a critical effect. Biton is in fact suggesting that his readers—you, the Mizrahi—be like the Ashkenazi, but not completely like him; in this way you will undermine the Ashkenazi’s subjective self as well as his authority. This rejection provides the time required to cope with the trauma of immigration. The ambivalence of the mimicry that Homi Bhabha writes of not only disrupts the discourse but also transforms it into complete uncertainty, fixing the colonial, sovereign, and oppressing subject as only a partial presence. In other words, it undermines the sovereign subject, and does not give it authority. Erez Biton recreates the Mizrahi stereotype, thus challenging the coherence of the stereotype and the coherence of the identity of the oppressor who uses this stereotype—the same stereotype Biton uses to undermine the oppressor. Biton, who suggests mimicking the Ashkenazi, is in effect also mimicking the Mizrahi and in doing so reveals the mimicking nature of his poetry—a structure with which he expresses the absence of a stable source for and the contingency of all ethnic identities in Israel. 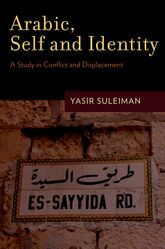 Yasir Suleiman, Arabic, Self and Identity: A Study in Conflict and Displacement. New York: Oxford University Press, 2011. 271 pp. The essay tries to analyze the notions of “history” and “return” in Zionist discourse in order to clarify their political and cultural implications. I investigate the meaning and function of the phrase “return to history”, commonly used for the description of Zionism, in two different sets of terminologies: the theological terms that defined Jewish-Christian polemics and the terms “culture,” “civility,” and “ethnicity” as used in the discourse of modern nationalism and colonialism. Accordingly I argue that the consciousness embodied in the phrase “return to history” meant the acceptance of the very terms and principles that generated the exclusion of the Jews in Europe. Thheologically and in the terms of premodern Christian-Jewish polemics, the phrase expresses an acceptance of the Christian perception of history of the Jews and their exile. On another level, the use of the modern national model of history for the representation of the Jewish past reveals the obvious Orientalist dimension of the secularization of the concept of history, as referring exclusively to the Christian West. In Zionist discourse both the theological-redemptive and the Orientalist aspects were integrated in a way that illuminated them both. Finally, the return to history and the return to the land meant the obliteration of the history of the land and the existence of its inhabitants. It also determined the removal of the Jews from the multiple local histories in which they had existed in exile in order to include them in one common, separate narrative. As a conclusion, I suggest to re-consider the options embodied in the concept of exile for an alternative way of thinking Jewish-Israeli existence and collectivity. In hindsight, Hannah Azulai-Hasfari’s 1995 semi-autobiographical film Shḥur heralded the rise of new Mizrahi cinema—a corpus of contemporary films that features Mizrahi traditions, experiences, and struggle and brings Mizrahi subjectivity to the fore. Given the often uncomplimentary on-screen depiction of the Mizrahi during the formative years of Israeli cinema and the scant Mizrahi self-representation through the early 1990s, one could anticipate the public and scholarly interest in and heightened sensitivity around the elaborate portrayal of the Moroccan family and customs in Azulai-Hasfari’s film. This essay explores the particular modalities of this burden of representation and the strategies the filmmaker employed to unburden herself. Whereas the burden of representation is often situated in the realm of production (the particular directorial choices as they pertain to narrative, cast, space, etc. in the making of a film), the analysis of Shḥur in this essay opts to focus on the modalities along which the burden of representation materializes in the realm of reception. This essay’s final section adumbrates the film’s particular construction of a Mizrahi space as well as its use of languages as devices that left their marks in feature, documentary, short, and experimental Mizrahi films for years afterward. In turn, this more recent crop of Mizrahi films has modified the parameters of the burden of Mizrahi self-representation. 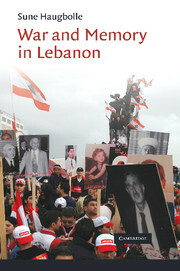 Sune Haugbolle, War and Memory in Lebanon. Cambridge: Cambridge University Press, 2010. 260 pp. Arab and Muslim women who led the Arab Spring revolutions in their countries were often characterized as secular and liberal. According to this binary approach, religious women are identified with a conservative world view, a traditional education, and a medium to low socioeconomic status. The norms of honor and modesty governing these women are assumed to oblige them to confine themselves exclusively to their roles as wives and mothers and limit their presence in the public sphere. Furthermore, this binary approach stigmatizes those who wrap their heads in the hijab and cover their faces with the niqab as women who are forced by their fathers and husbands to accept traditional norms. Secular women, however, are portrayed as those who have liberated themselves from the shackles of religion and tradition. They are assumed to be highly educated, liberal in their world view, socially and politically engaged, and aspiring to build careers as competent professionals with the goal of becoming economically independent. To achieve this, they are prepared to struggle for their rightful place as equals in both family and society. However, the revolutionary Tunisian, Egyptian, and Yemeni women’s life stories, their world views, and their sociopolitical agenda and outer appearance indicate that their prototype is an amalgamation of a faith-motivated religiosity and a liberal, pluralistic world view. These women join their sisters who, since the last decades of the ninetieth century, have taken part in social- and gender-oriented struggles in the Middle East and North Africa. Their retention of their cultural authenticity, religious beliefs, and moral values clearly highlights the fact that for these hybrid women—to borrow Homi Bhabhi’s concept of hybridity—Islamic religious belief and a liberal world view are intertwined. Being Muslim and European Without Contradiction—Myth or Reality? The article reviews a critique of European modernity through the eyes of Bassam Tibi, a European Muslim sociologist. Tibi’s discursive analysis presents a detailed description of how an Islamic pluralism addresses the conceptual, philosophical, cultural, social, and political interpretations of Islam in a European context. His Islamic pluralism suggests the ways in which a secular interpretation of Islam can influence religion-state relations in Europe. Exploring the tensions resulting from being both Muslim and European, Tibi proposes that Muslims in Europe avidly maintain some basis of Islam within their identity, even if they adapt that interpretation to make it compatible with European norms and values. His perspectives are juxtaposed with Muslim intellectual opposition to a European Islamic pluralism that offers a basis for Islamic diversity in Europe. The article concludes that even Tibi’s moderate interpretation of Islam does not fully eliminate the inherent contradiction involved in being both Muslim and European, although he does suggest a means of bridging cross-cultural tensions. This article will survey the historical shift and ongoing transformation of Israeli discourse on landscape representations in Palestinian art, as illustrated by the case of Asim Abu Shaqra’s (1961-1990) artwork. Abu Shaqra is one of the very few Palestinian artists who have entered the canon of Israeli art. 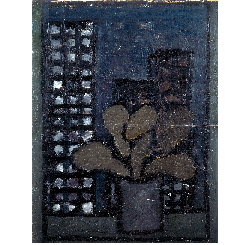 After graduating in 1986 from the Kalisher Art Academy in Tel Aviv, Abu Shaqra had his first solo exhibition in 1988, at Rap Gallery in Tel Aviv. Over the two subsequent years—until his premature death from cancer in 1990, at the age of twenty-nine—he had three more solo shows and participated in four group exhibitions. In 1994, four years after his death, a comprehensive retrospective exhibition of his work was presented at Tel Aviv Museum’s Helena Rubinstein Pavilion. The art discourse on Abu Shaqra’s oeuvre, from the very beginning of his activity in the 1980s down to this day, reflects the historical transformations that the Israeli artistic field has undergone in relation to the work of Arab-Palestinian artists who graduated from Israeli art schools. Abu Shaqra’s 1994 retrospective exhibition—which took place in the wake of the dramatic period that began with the outbreak of the first Intifada in 1987 and ended with the Oslo Accords in the early 1990s—marked a historical turning point in the discourse on Palestinian art created in Israel. The rise of a public debate over the nature of Palestinian identity, made possible by the peace process and the Oslo Accords, included a process (still unfolding today) of growing recognition of the Palestinian culture created in Israel. This recognition, in turn, has generated a significant shift in the interpretive templates governing the reception of landscape representations in the work of Palestinian graduates of Israeli art schools. For the past twenty-five years, and particularly during the last decade, the idea of the Arab Jew has been debated in multiple forums in different parts of the world. The Arab Jew is represented in literature and film, discussed in blogs and social media, and featured in live performances. It has informed scholarship in literary and cultural studies, sociology, and history, in Israel, the Arab world, Europe, and North America. Yet the term “Arab Jew” remains controversial, especially in Israel, where it is widely viewed as a left-wing political concept. 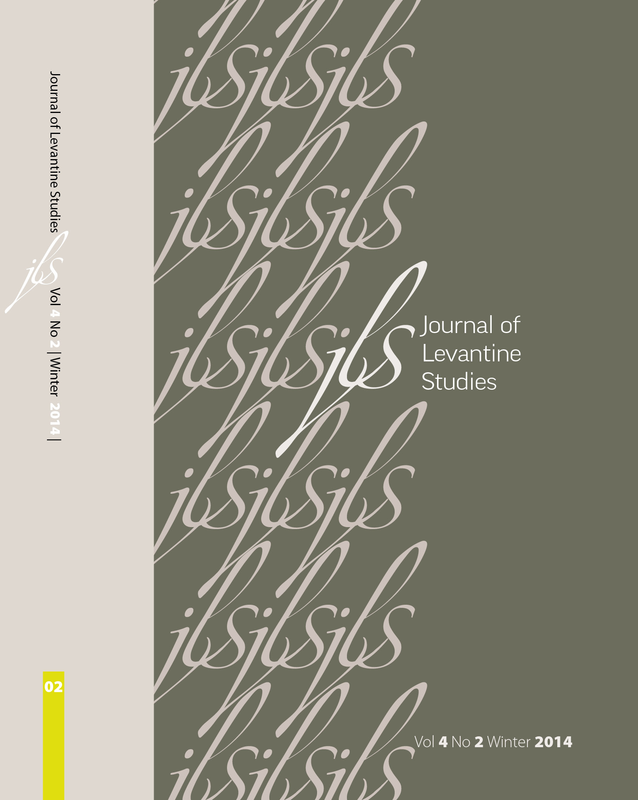 This article surveys the Arab Jew’s full range of expression to date, emphasizing the reciprocal movement of ideas across different geographies and between discursive spheres. It argues that the Arab Jew idea has developed as both a project of political intervention into the present-day separation of Arabness from Jewishness and a project of reconstruction focusing on the Jewish past in the MENA region. 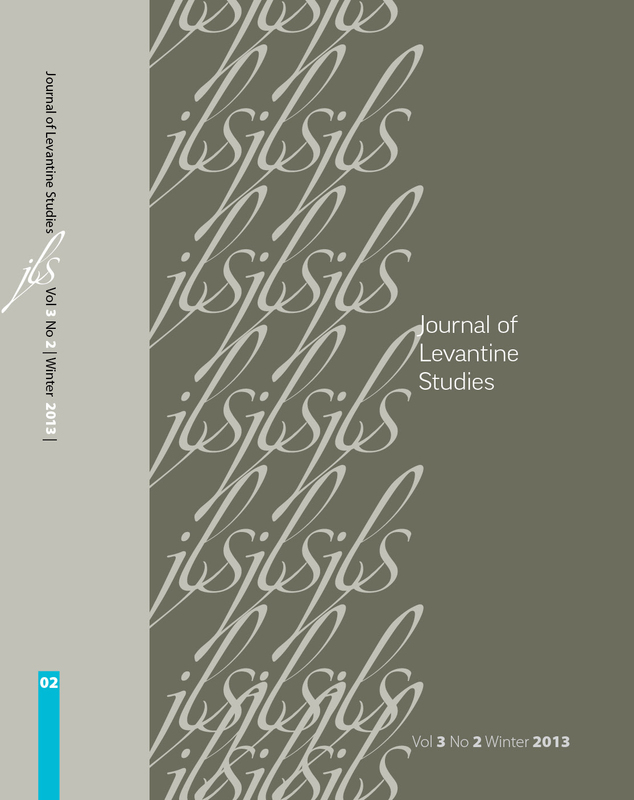 Examining recent episodes in the Israeli public sphere, the article investigates how contemporary discussions about Arab Jewish identity and culture utilize competing views of history. It concludes by reconsidering the relevance of the “Arab Jew” to the burgeoning historical scholarship on Jews in the MENA region during the nineteenth and twentieth centuries. Sami Michael is a well-known, Iraqi-born Israeli writer whose best-selling works have been widely discussed in both public and academic discourse. However, long before writing in Hebrew, Michael published several short stories and articles in his native Arabic during the 1950s. 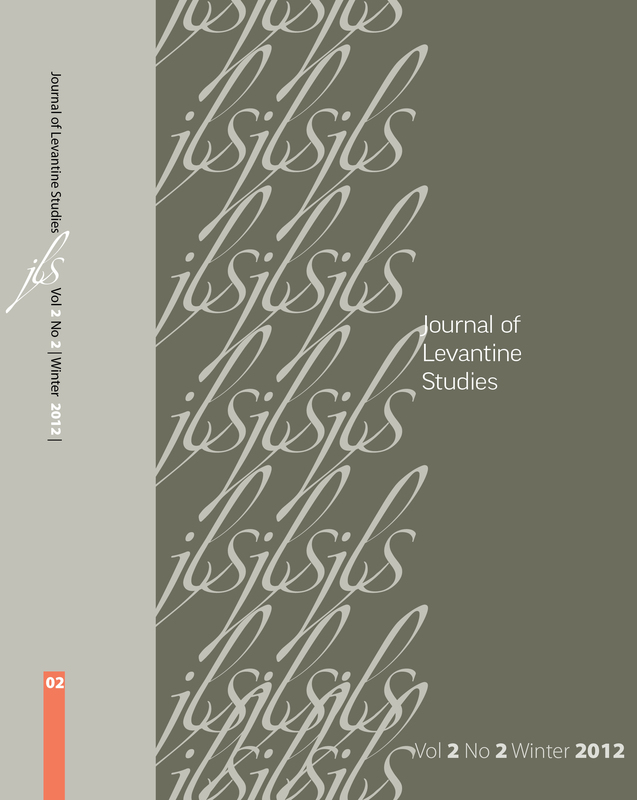 This article examines a selection of Michael’s Arabic stories and frames them as the genesis of his representations of Arab-Jewish subjectivity, while also emphasizing the importance of the fact that a well-known Israeli writer began his literary career in Arabic. I argue that to sketch out a fuller picture of Michael’s literary voice, we must take into account the ways in which his early Arabic writings were precursors of his later Hebrew novels and how the process of abandoning his native language was formative even before his switch to Hebrew. The short stories discussed here all confront the ambivalences and, importantly, the possibilities that characterize Michael’s imagined Arab-Jewish subjectivity, suggesting it to be a literary sensibility fraught with a paradoxical sense of simultaneous potential and dissolution.